Undoubtedly this two English word -Today and Tomorrow- can never be used interchangeably. But the fact that these two cannot complement each other does not mean that it can easily be differentiated, because many have the problem of expressing the difference either in words or written. As hard as this task may seems, we have tried to come up with some expressions to show clearly the difference/contrast between this two english word. Today refers to the current/present day while, Tomorrow refers to the first (1st) day after this present day. 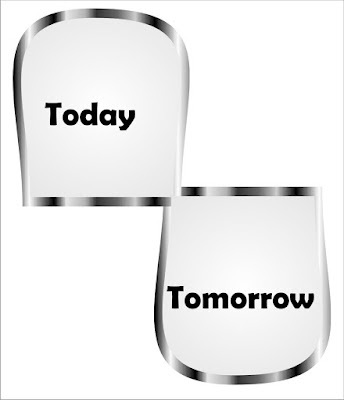 In other words Tomorrow refers to the following Day. The time frame between Today and Tomorrow is maximally 24 hours which runs from 12:00:00am to 11:59:59pm where the time 12:00:00am which you are witness of signify the start of Today, while the one to come signify the start of Tomorrow. 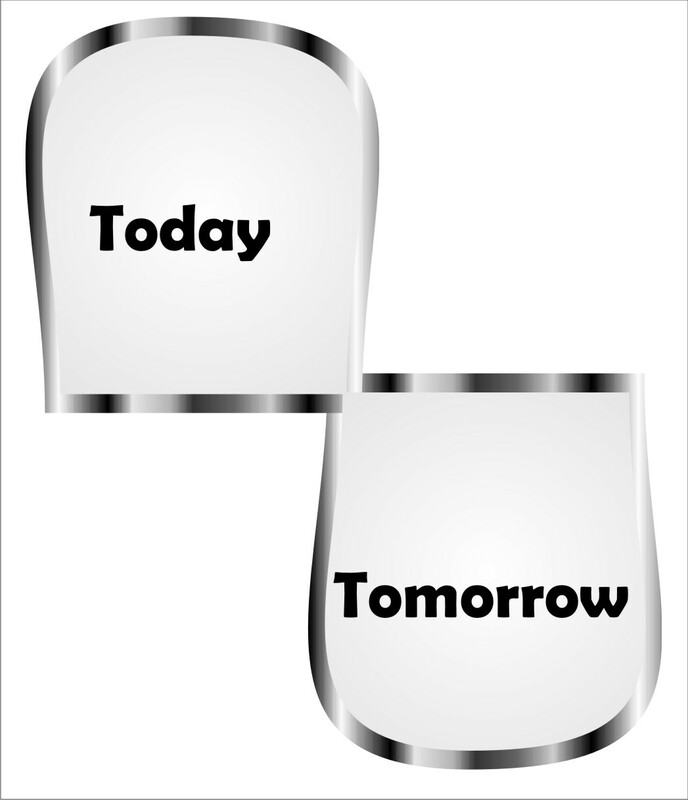 Similar to Tomorrow which is never before Today instead it is always after Today, Today is always before Tomorrow and never after Tomorrow. The current ongoing 24 hour time frame which will end by 11:59:59pm is called today, while the next 24 hour time frame that will start after midnight is referred to as Tomorrow. Do remember to subscribe to our updates by submitting your email address in the Follow by email box below.